Even though the price of gold has retreated from its recent highs hit earlier this month, sentiment towards gold is slowly moving from being extremely negative and bearish to more bullish. HSBC, JP Morgan Chase, Bank of America Merrill Lynch, ABN Amro, UBS, Deutsche Bank, PIMCO and BlackRock head a growing number of investment houses that are recommending an allocation to gold today. Indeed, the world’s largest reinsurer Munich Re is buying gold. Gold seems to be benefiting from the insidious monetary policies of certain major western economies namely the war on cash and negative interest rates. The war on cash is really just another scheme to take away your freedom, allowing government to track every transaction you engage in. By eliminating currency, people like Larry Summers believe that it will cut the costs of producing and handling cash, reduce criminal activities, hinder money laundering/terrorism and increase the government’s tax take. But the real purpose is to allow the central planners to more effectively control the economy and have total control individual bank accounts. The argument against gold not paying any return can now be negated as banks around the world are starting to charge clients for the courtesy of holding deposits. The European Central bank, Denmark, Switzerland, and Sweden, along with Japan, all currently have negative interest rates, and there is no sign that they will rise any time soon. Janet Yellen has even said that the US Federal Reserve will consider negative rates; if economic conditions dictate. This is a policy aimed squarely at encouraging banks to lend, and force savers, investors, and financial institutions into riskier investments, namely long-duration bonds and equities instead of a savings account. The war on savings and capital being conducted by central banks seems likely to drive investors towards alternative safe assets. We believe that prominent among the available options is gold. At zero interest, bonds are no longer capable of providing a stability hedge for equity portfolios and so investors may look to gold to fill that vacuum. More than half the world’s sovereign debt now carries negative interest rates, and data keeps coming in confirming that it is driving demand for gold. Gold sales surged in Japan through March after the country’s move to set negative interest rates sent investors scurrying for a shelter, a further sign that global central bank policy of keeping borrowing costs low or below zero is stoking demand for bullion. According to Tanaka Kikinzoku Kogyo K.K., the country’s biggest bullion retailer, bar sales climbed by 35% to 8,192 kilograms in the three months ended March 31 from a year earlier. The surge in gold purchases since the Bank of Japan’s interest rate move comes on top of a significant increase in demand last year. According to Bloomberg, consumer demand for the yellow metal almost doubled to 32.8 tons in 2015, up from 17.9 tons a year earlier. At the same time, government bonds are likely to have limited upside, due to their low to negative yields. It seems clear that over the long run, the negative interest rate policy may result in higher demand for gold from central banks and investors alike. Meanwhile, the worlds’ biggest gold buyer is now back in the market. For nearly six weeks, the global gold market has been missing its largest buyer. Gold purchases across the nation of India were paralyzed by a strike from the national jewellers’ associations. But, last week, there were reports that many gold sellers reopened their doors. It’s also notable that India is still in the midst of its wedding season — when gold demand typically runs high. And with gold-sellers now returning to work, buyers may be quick to catch up on securing supply that’s been tough to get over the last month and a half. The outlook for future gold mine production is clouded by the decline in the gold price over the past five years. 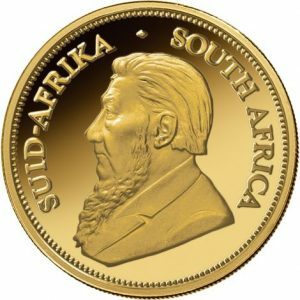 This decline has impacted on the gold mining industry in such a way that we expect the supply of newly mined gold to plateau at current levels in a best-case scenario, or decline by as much as 25 percent by 2020 in the absence of a sustained rise in the gold price of at least 50 percent. A deepening shortage of physical gold means that even modest capital inflows into precious metals should drive an outsized price response. In addition to the dim prospects for increasing mine supply, the liquid inventories of physical gold vaulted in western financial centres (London, NY, and Switzerland) have been severely depleted by demand from Asian investors. Top Chinese banks and gold miners, along with the world’s biggest jewellery retailer, will be among 18 members taking part in Beijing’s new yuan-denominated gold benchmark that will compete with the London gold fix. Two foreign banks will also join the benchmark-setting process, when it launches on April 19, marking China’s biggest step to become a price-setter for gold. As the world’s top producer, importer and consumer of gold, China has baulked at having to depend on a dollar price in international transactions, and believes its market weight should entitle it to set the price of gold. A yuan gold fix is not expected to pose an immediate threat to the gold pricing dominance of London and New York, but it could ultimately give Asia more power, particularly if the Chinese currency becomes fully convertible. While policymakers continue with their insane actions such as digital cash, negative nominal rates, and the elimination of large-denomination cash notes, one thing that is certain is that they are creating a great deal of uncertainty which should be positive for gold. 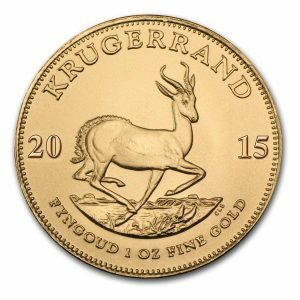 The broad nature of this uncertainty has in recent months translated into broad-based interest in gold. Clients from all different backgrounds have been buying gold. As Central Banks continue to prop up the financial system with massive monetary printing, the death of paper money grows closer each passing day. While it is true that the Fed and Central Banks have been able to postpone the day of reckoning much longer than most precious metals investors imagined, the inevitable collapse of the fiat monetary system will turn out to be much worse. I continue to recommend owning physical gold that you store in a safe place. The price of silver is trading at a 6 month high, up some 16% year-to-date. 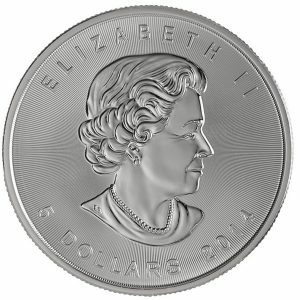 Silver bullion prices surged 3.65% last week and have surged 8% in just six trading days. But, believe me – I have seen price moves of more than 10% in a session! Since last Monday (April 4), silver has surged from $14.90 to $17,00 per ounce for an 14% gain as ongoing robust physical demand finally seems to be impacting on prices which remain depressed. Silver is now testing technical resistance at $17.00 after breaking above $16.40/oz. The price could now quickly move to test the next level of resistance at $18 per ounce seen in May 2015. The surge in recent days was impressive as it came against a backdrop of negative economic data, concerns about corporate earnings, the U.S. and global economy and weakness in stock markets globally. The supply demand dynamics in the silver market remain conducive to higher prices in the coming months. Industrial and particularly investment demand for silver is strong. 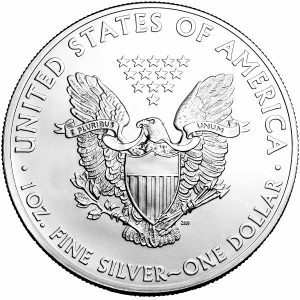 Industrial demand for silver is expected to rise 3% in 2016 according to Capital Economics. 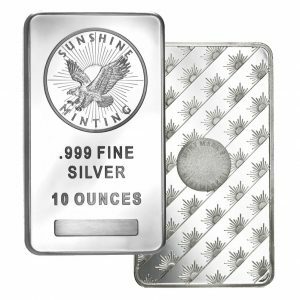 Silver investment demand has risen by 400% from under 50 million ounces in 2006 to 200 million ounces in 2015. Investment demand remains robust as seen in the silver holdings of the iShares Silver Trust, the biggest exchange-traded product in the metal. SLV holdings have increased by nearly 9% year to date. 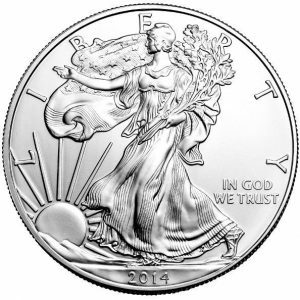 All signs point to a continued surge in investment demand for silver in 2016. Investment demand is going to keep soaring because of negative interest rates and financial instability causing mistrust in paper currencies, This year, Silver Eagles sales posted a first quarter record of 14,842,500 ounces. Australian Mint silver sales spiked over 50% in 2015, with the Perth Mint reporting March 2016 silver sales up 175% vs. March of 2015! 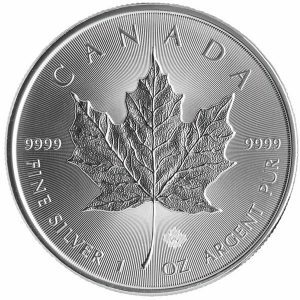 In Canada, the latest quarterly report of Silver Maple Leafs had sales up 76% year on year. Indian silver imports were a record 8,506 tons (273,473,854 ounces) in 2015. Since 2007 investment demand for silver has more than quadrupled Total silver bar and coin demand in 2007 was 51.2 Moz. This picked up significantly in 2008 to 187.3 Moz. and remained elevated for the next seven years. 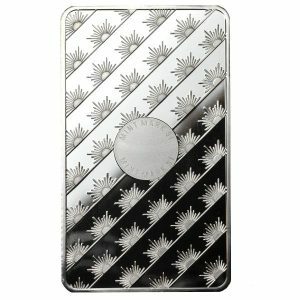 Silver Bar & Coin demand hit a record 243.6 Moz. in 2013, due to low prices, declined in 2014 to 196 Moz., but will likely jump substantially in 2015 to over 240 Moz. Investors purchased a stunning 1.2 billion ounces of silver from 2008 to 2013. Of the 1.2 billion oz. in silver bar and coins, official Coin sales accounted for 657 Moz. or 55% of the total. Even though the price of silver has declined since 2011, investors continue to purchase record amounts of physical metal. This is a much different situation than the previous buying periods of 1979-1980 and 1982-1983. In both of these buying periods, the price of silver rose considerably. 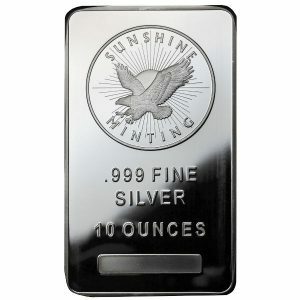 However, in this four-year period since the price of silver peaked in 2011, investors are buying more silver than ever. Investment demand is likely to remain robust and may even increase due to the ultra- loose monetary policies, negative interest rates leading to increased allocations to non-yielding, but non negative yielding silver. Silver remains undervalued from a historical perspective and from the all-important inflation adjusted perspective. This means that reaching the record nominal high over $49/oz (seen in 1980 and 2011) is likely again. Longer term the inflation adjusted 1980 high of $150/oz. remains realistic – especially given the increasing use of silver in various industrial application and silver’s increasing investment demand – with silver continuing to be seen as the cheaper, better value, alternative to gold. The bottom line is that silver is in the early stage of a bullish breakout. Shrinking supply, rising demand and prices pushing up against a major resistance level are all signs that the price is set to move upwards.